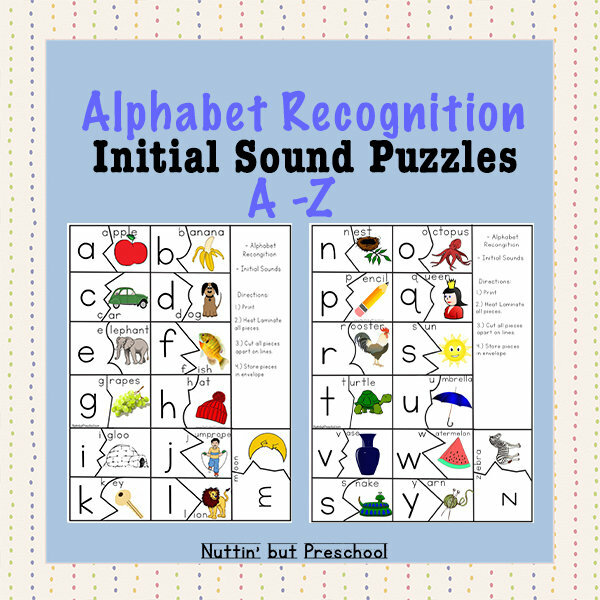 The alphabet recognition initial sound puzzle set has the lower case letters a-z. 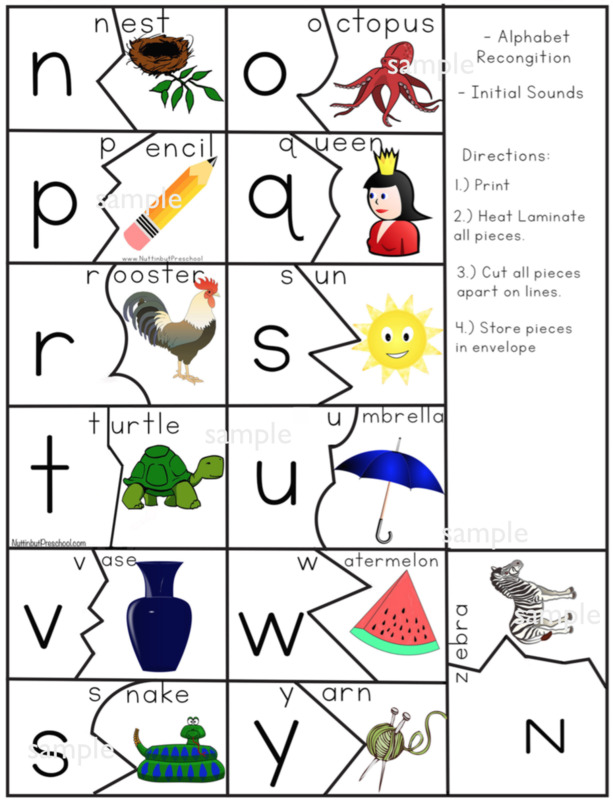 Each letter shows the initial sound letter of a word together with its picture. 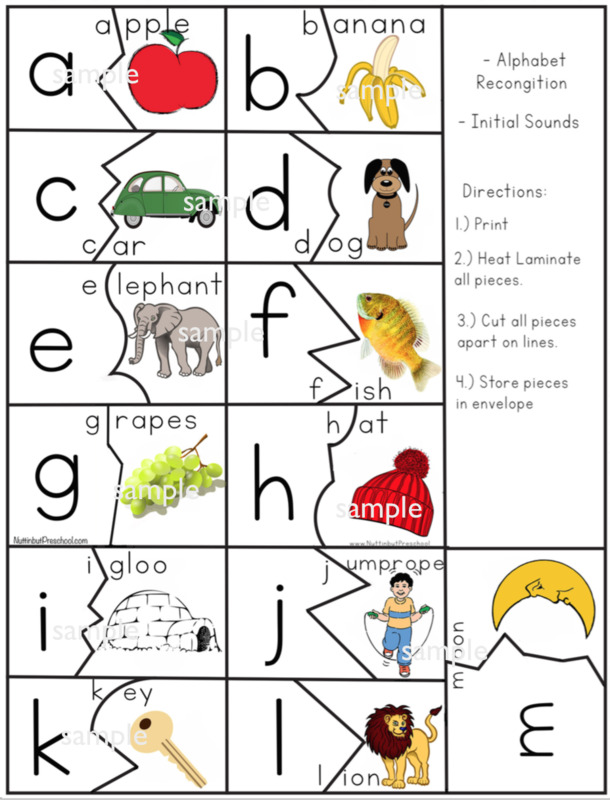 The initial sound puzzles fit together perfectly and can assist students to recognise initial sounds and to get first reading and writing skills. Children match the correct picture and word together. The way the puzzle pieces fit together will give children an idea what letter pieces go together. The piece will easily fit inside an envelope for easy storage.